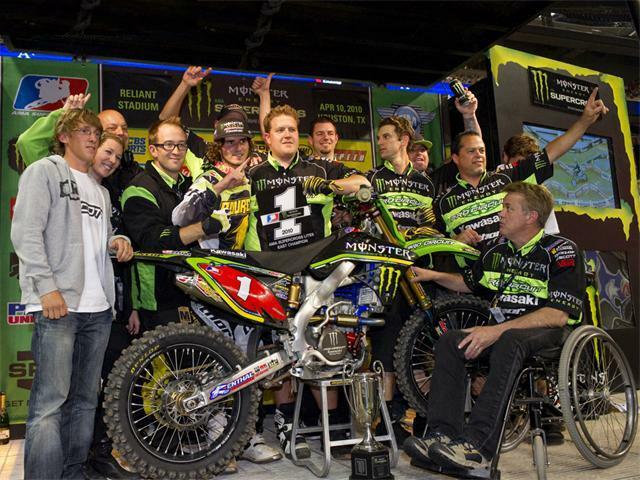 Perhaps some of the biggest news of the night was in the Eastern Lites points race as Christophe Pourcel took advantage of a season-ending injury to Austin Stroupe to claim his second Supercross Lites championship with a victory in Houston. 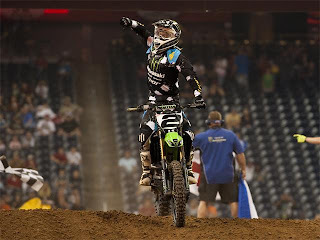 The Monster Pro Circuit Kawasaki rider now leads Justin Barcia 159-122, an insurmountable difference with only one round remaining. 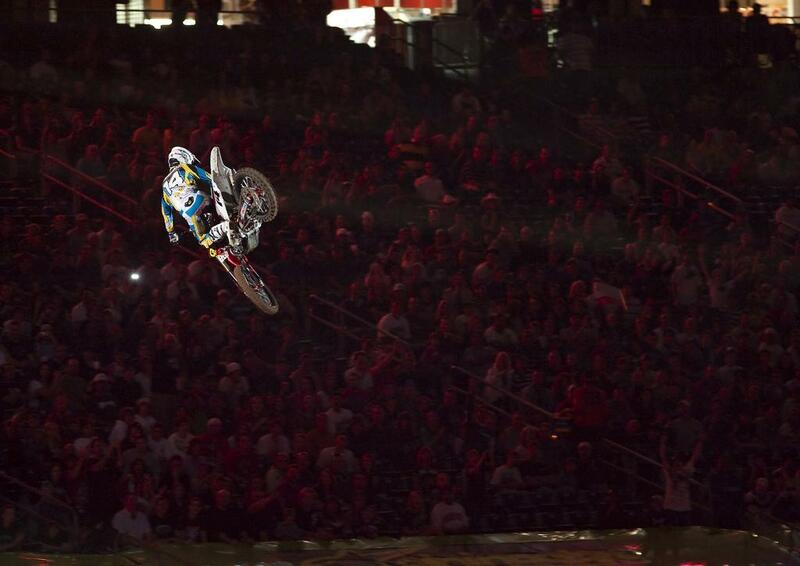 Suzuki rider Blake Baggett was second on the night with Barcia in tow on the GEICO Honda. great post about motor racing, i have book marked this page. Super Cross is really an extreme sport and I really admire the participants and of this sport because I really think that they are super brave to join this kind of sport. Thank you for sharing the result. hey aren't all those machines that you mentioned up above, all lawn mowers????????????? My goodness.. These are the extreme actions likely to be done by the expertise. Here a little mistake counts to be loss of life or a permanent injury but still a risky adventure and almost all done for the glorious victory. Its a rocking style.! I have a great collection of supercross videos in my PC.